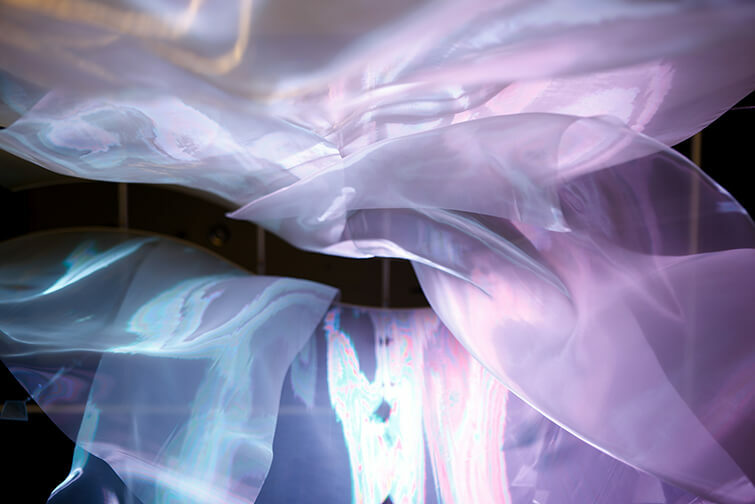 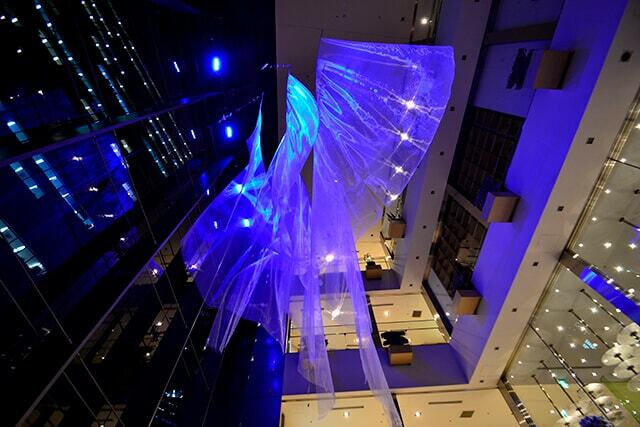 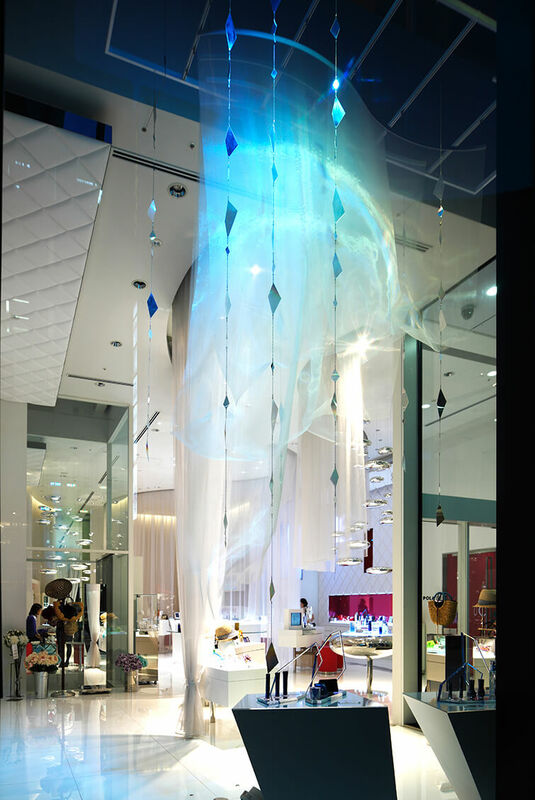 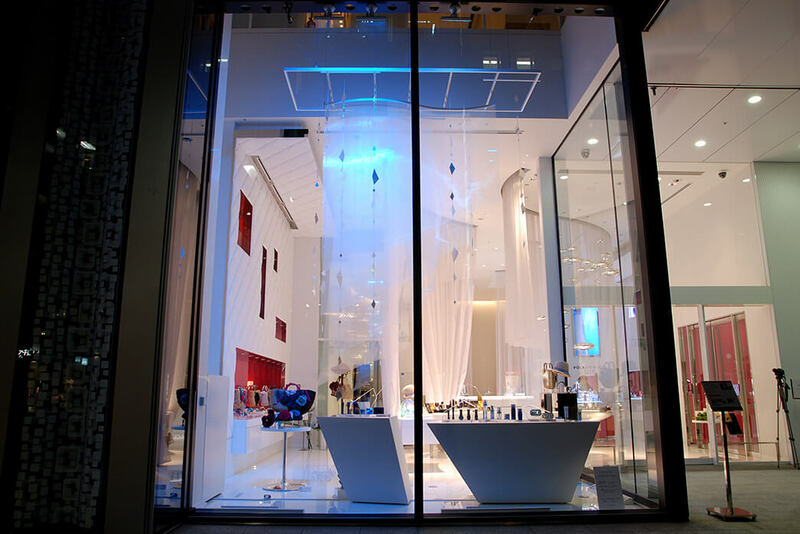 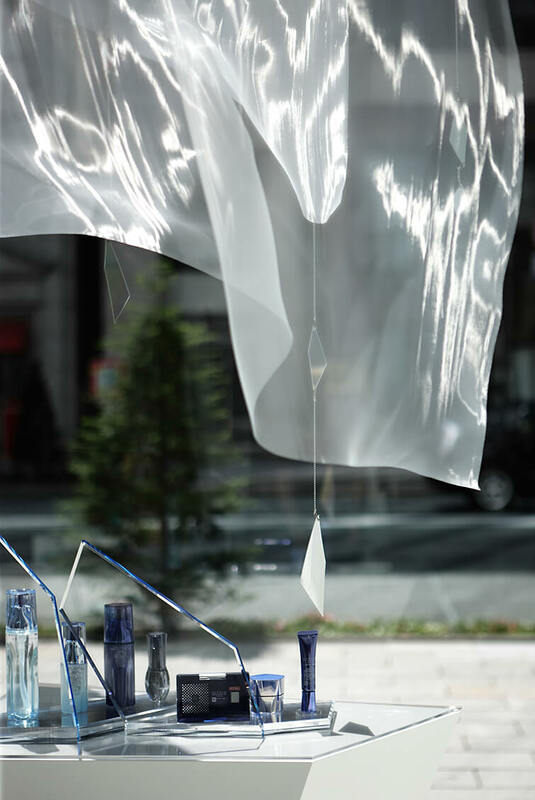 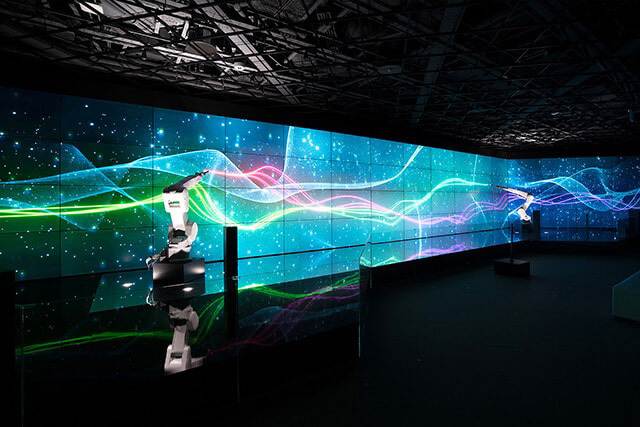 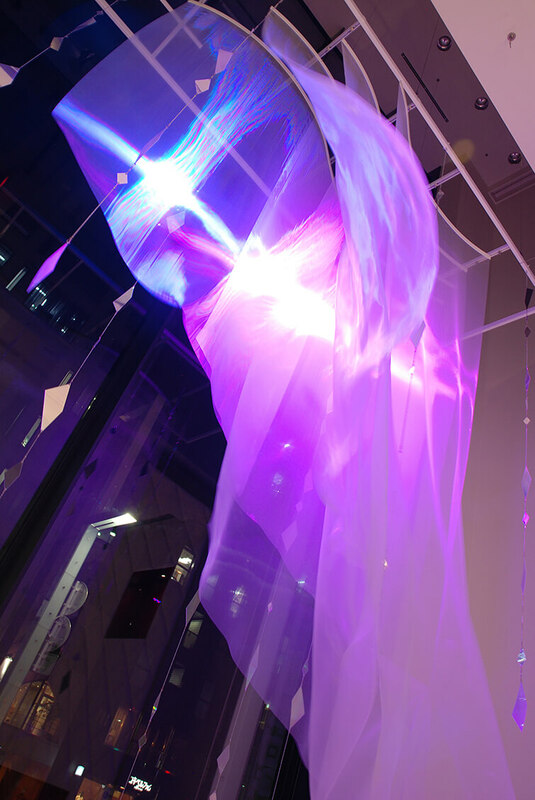 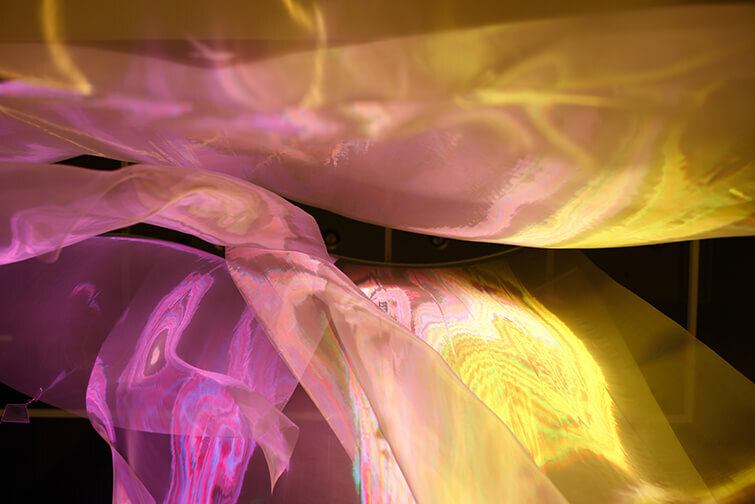 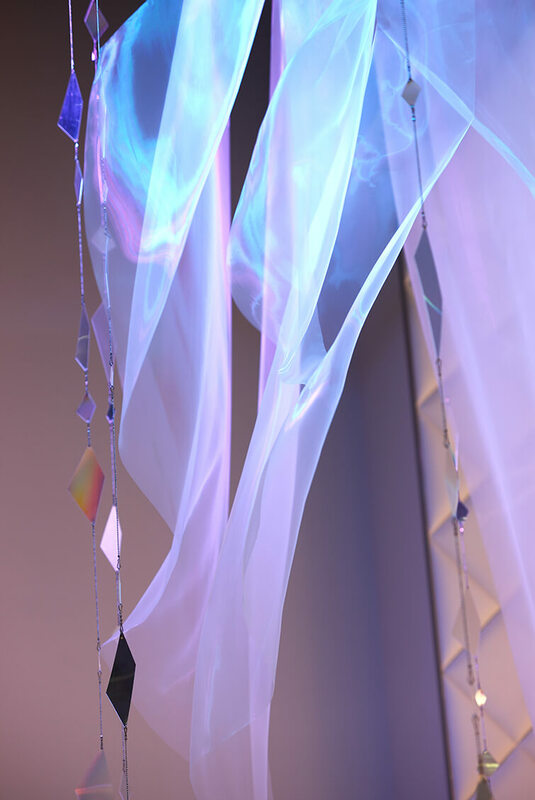 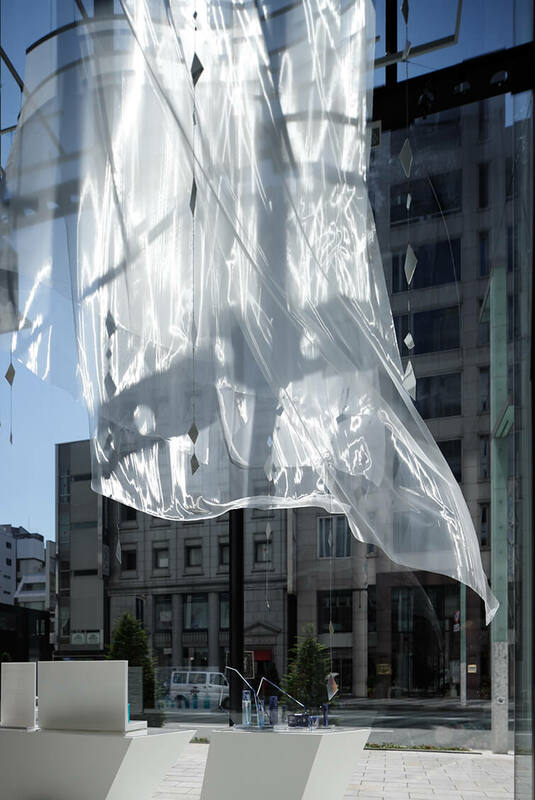 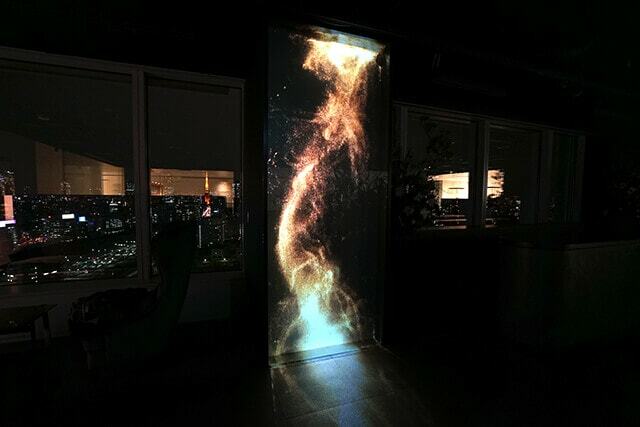 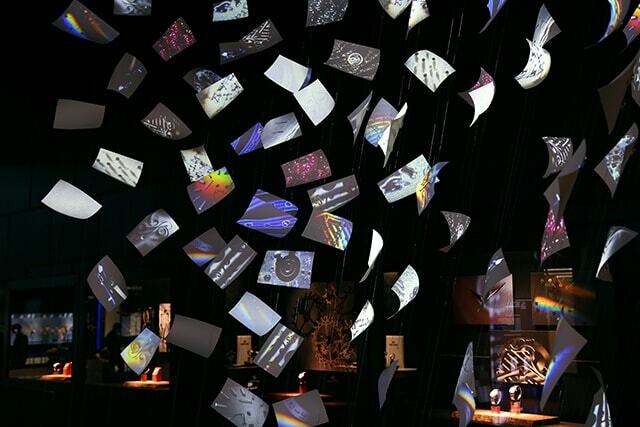 Installation using fabric with changing expression of light from moment to moment due to sunlight, LED lighting and fluctuations in the breeze. 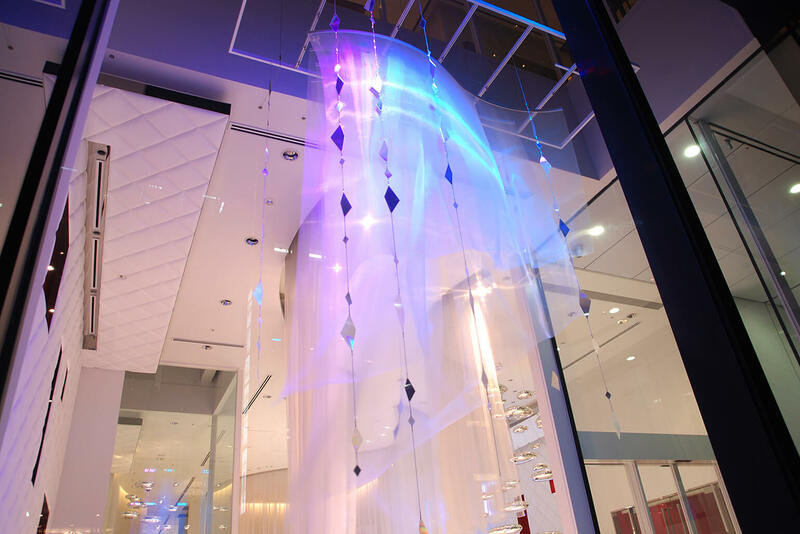 Lighting hits the special organdie, which is blown about by fan control, producing a moire effect with aurora-like coloring. 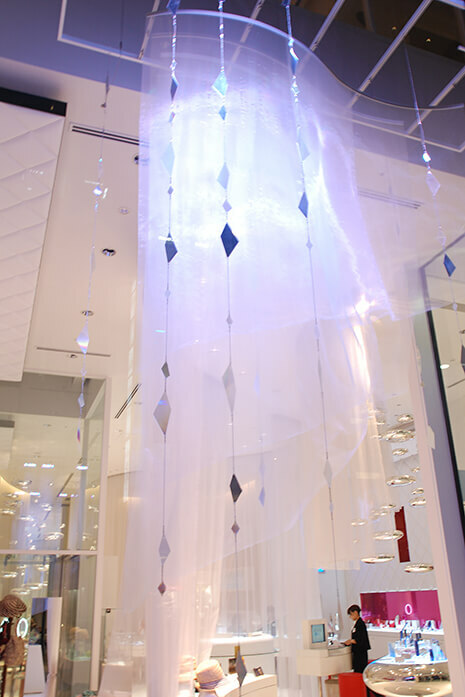 Its appearance changes throughout the day due to the effects of sunlight in the daytime and LED lighting at night.